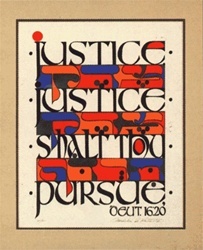 Another interpretation of the verse from Deuteronomy 16:20 "Tzedek, tzedek tirdof." 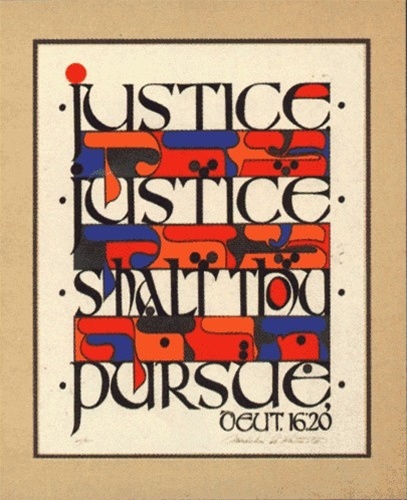 "Justice, justice shalt thou pursue." A piece of art that any attorney or judge would be proud to own, and which belongs in every courtroom in this country. Signed and numbered serigraph and is framed and double-matted. Dimensions: 20" x 24".